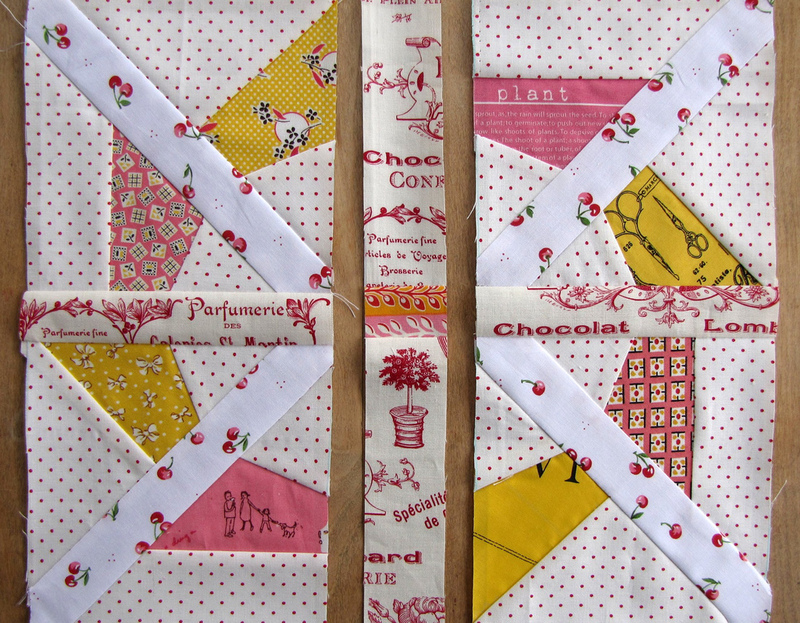 I love vintage patterns! 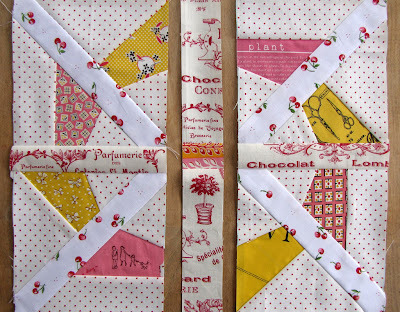 As I delve deeper into the quilting world, many modern patterns are inspired by or derived from vintage ones. I found this Alice Brooks Pattern "Crown of Thorns" and immediately fell in love with it! I modified the pattern to remove a "V" intersection at the center of the block. I have a free link to the pattern here. Here is another version I made. I love how Springy this one looks. 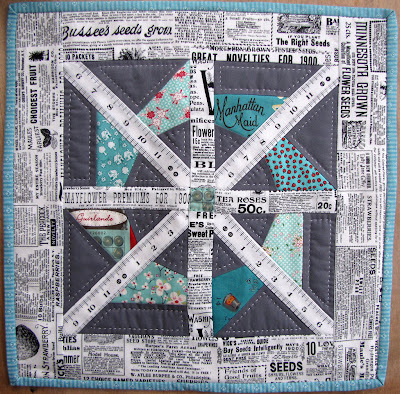 I highly recommend paper piecing this pattern! If you make this block, please join my Charise Creates Flickr Group and add your version of this block. I'd love to see your version!!!! Thank you for sharing! I love the design. Thank you from Denmark, love your pattern in Fatquarterly. I follow you via IGoogle. How do you make this sweet-funny-cool pattern? Awesome block! Thanks so much for sharing the pattern. Thank you so much, yet again, for such a wonderful chart and tutorial. I am going to print and make this tomorrow because I LOVE it along with the Apple. You are just amazing and I can't thank you enough. No computer or TV for me tomorrow that's for sure. Hi Chris. 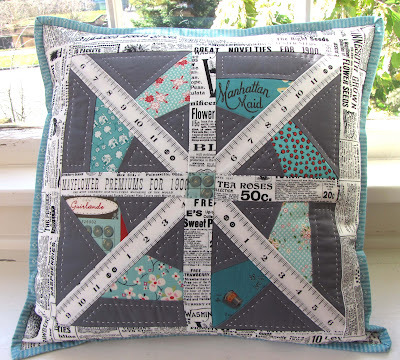 I'm Lily from Buenos Aires, Argentina.I love this pattern and you inspire me to do a pillow like yours. Certainly I will share with you when I finish it. 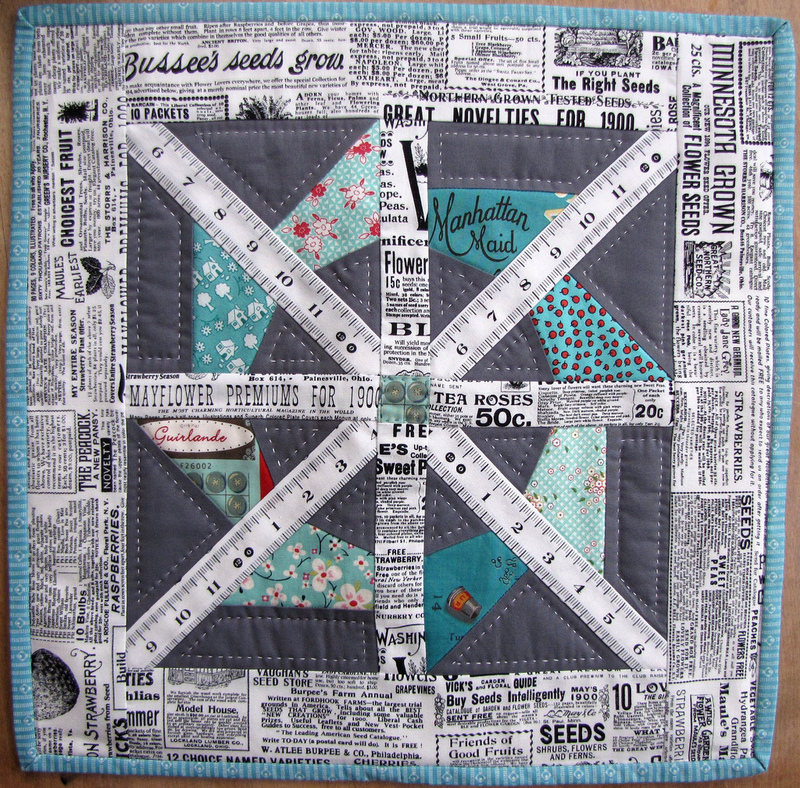 I shop at Sew Me a Song (she is a sponsor on my blog), Ayumills, and BlijeOlifantje and Sew Deerly loved on Etsy. 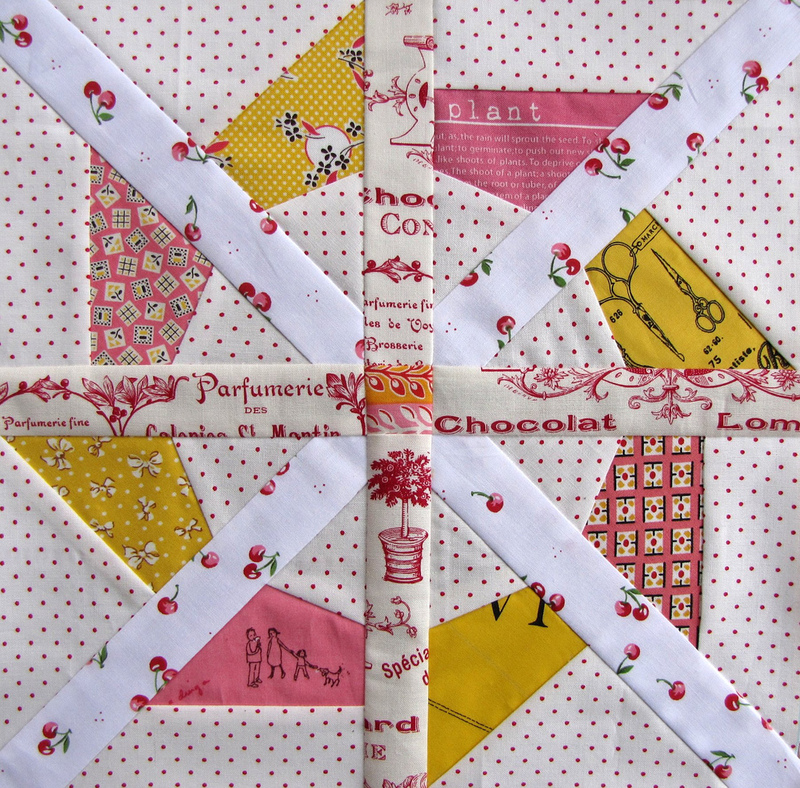 Some favorite online shops are Fat Quarter Shop & Pink Castle fabrics (also sponsors), and The Quilted Castle. I love japanese fabrics - designed by Atsuko Matsuyama and Suzuko Koseki. If you search on Etsy or on the web you should find even more shops. Just wonderful!!! Can't wait to do it!!! Thank you!